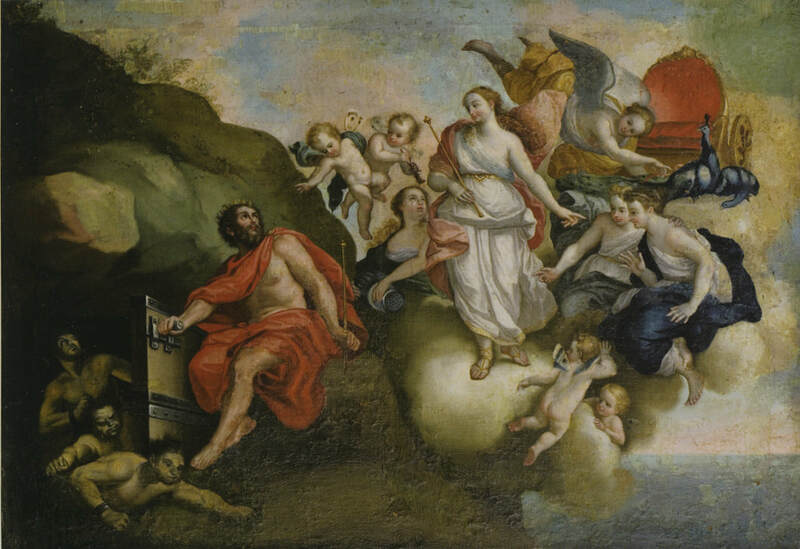 In Greek mythology, Aeolus is named as King of Winds, but the story of Aeolus is a confusing one, and whilst today he is considered a minor god, he was perhaps simply a mortal king favoured by the gods. Aeolus, King of Winds, was normally said to be a son of the mortal king Hippotes and Melanippe, the nymph daughter of the centaur Chiron; parentage which would be more indicative of a mortal king, than a god. Aeolus would rule the floating island of Aeolia, and there by his wife Cyane, would become father to six daughters and six sons. The island of Aeolia was considered to be an island with high cliffs, and surrounded by a wall of bronze. Aeolus was respected as king, ruling justly, and became a favoured king by the gods, banqueting upon Mount Olympus with them. Thus it was then said that Zeus made Aeolus King of the Winds. The title of King of the Winds would originally have referred to the Storm Winds, the offspring of Typhon, who would have been locked away in the interior of Aeolia. Later though, Aeolus became considered king of the winds, including the Anemoi, the wind gods of Greek mythology (although the Anemoi were more traditionally described as living in palaces at the furthest points of the compass). As King of the Winds, Aeolus could control the winds, releasing them as required, normally at the behest of Zeus or another god, to cause a great storm. Aeolus is most famous for his appearance in the Odyssey, as written by Homer, for the King of Aeolia welcomes Odysseus and his crew, and plays host to them for a month. At the end of the month, it also seems that Aeolus has provided them with a solution to how to get home, for he provides to Odysseus a bag tied tightly shut with all the winds there contained. Then Aeolus bade Zephyrus, the god of the west wind, to blow Odysseus and his ship safely home. Within sight of their destination though, disaster would befall Odysseus, for greed overcame his crew, and believing that the bag contained gold and precious stones, opened the bag of Aeolus. At once, all the winds held within were released, and a violent storm blew up, which saw the ship of Odysseus blown back to the island of Aeolia. Believing that Odysseus was not in favour with the gods, Aeolus refused to help Odysseus again. ​Aeolus is also briefly mentioned in some versions of the tale of the Argonauts, releasing storm winds to disrupt the voyage of the Argo, and then later to disrupt the pursuit of the Colchian fleet. 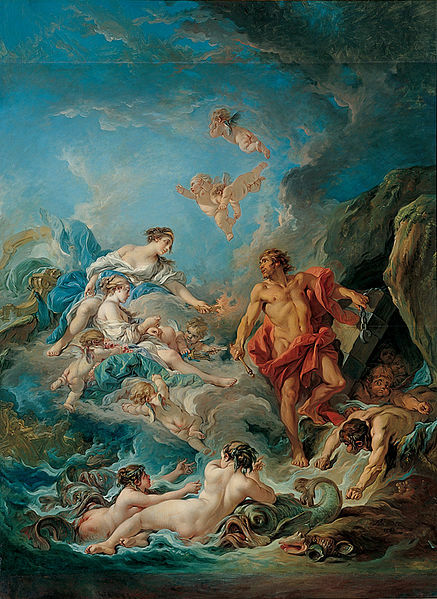 Hera, in the Aeneid, is also said to have asked Aeolus to release the winds to destroy the vessels of Aeneas, but in the Aeneid, the power of Aeolus and the winds, is then curtailed by Poseidon, the god of the Mediterranean.